It's been disgustingly hot and humid in New York for the past few days so what better time than now to chat about some skincare products I've been using lately to keep my skin in check? 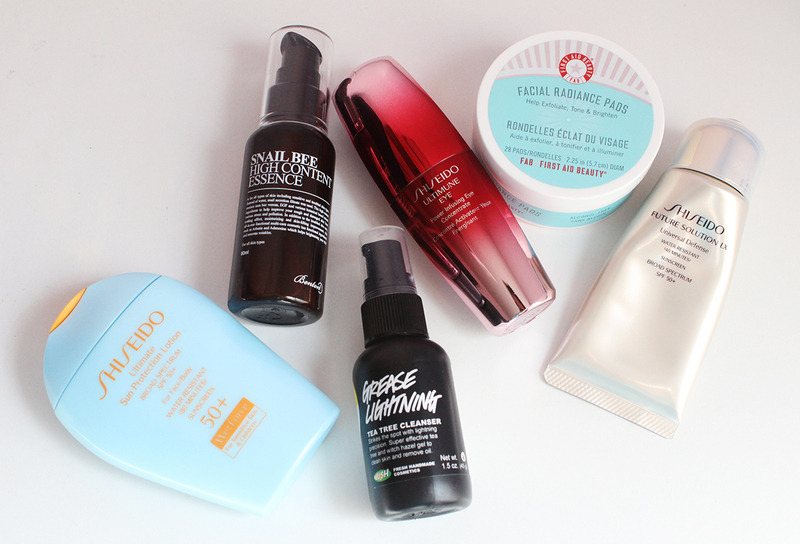 This is by no means a full skincare routine (there are just too many things on my vanity at the moment) but I thought these were worth telling you guys about because they've been working pretty well for me. The first thing I wanted to mention is actually not something I use on my face but rather my body - the Shiseido Ultimate Sun Protection Lotion for Sensitive Skin SPF 50+*. I've been a loyal Shiseido sunscreen user for years but this relatively new formulation takes the cake. It's a physical sunscreen free from fragrance, alcohol and parabens. It's also made with Shiseido's WetForce technology which is supposed to provide more sun protection when your skin is wet. The one downside is that this leaves a very white cast on the skin for a few minutes. For me, it's not really an issue I mind since I know I'm getting the sun protection I need and my skin isn't being irritated. 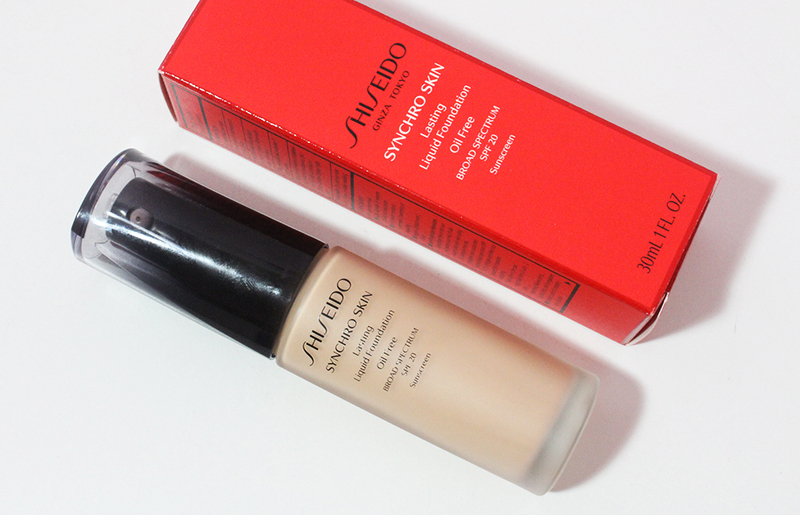 The white cast is a bit too strong from the Ultimate Sun Protection Lotion to use on my face so for that I rely on the Shiseido Future Solution LX Universal Defense Broad Spectrum SPF 50+*. This anti-aging sunscreen is one of the most expensive sunscreens I've ever used at $90 for 50ml but it lasts a long time and it sits really nicely under makeup. It has a pleasant scent and creamy consistency that feels nourishing but not oily. It's good but not sure if it's $90 good to be frank. Even though it's meant to be used in conjunction with another moisturizer, I've been using the Benton Snail Bee High Content Essence as both my morning and nighttime moisturizer. A couple of nights a week I'll substitute this with a hydrating overnight mask to give my skin more moisture but for the most part, this essence has been doing a good job. I got this as part of my Memebox Benton Box (unfortunately no longer available) for a steal but it's only $18 and you can get 20% off your first purchase if you use my referral code. While I haven't noticed my skin become more glowy as some of the other reviewers have, I do think this essence helps fade discoloration very quickly. I had a bad bout of acne recently on both cheeks and this product seems to be responsible for helping my skin bounce back a lot more quickly than usual. That's extremely impressive considering I've used $100+ pigmentation-lightening products in the past that have not worked as quickly. To tackle the my congested pores and overall areas of my face with small acne bumps, I've turned to the Lush Grease Lightning Tea Tree Cleanser. It's labeled as a cleanser but it's really more of a spot treatment. I used a sample of it ages ago and liked it but only recently purchased the full size since I needed something more gentle to use on large areas of my face. I still use the Origins Super Spot Remover for large, isolated pimples but it's too strong to use all over so I prefer applying Grease Lightning instead. 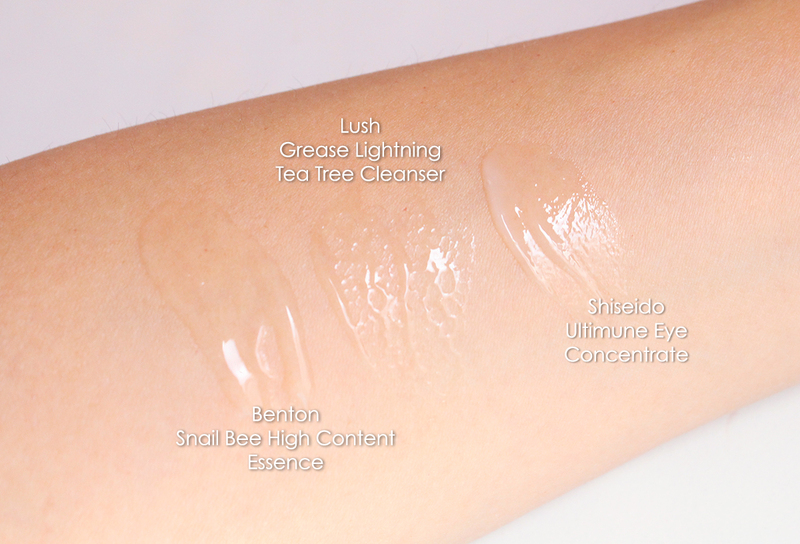 Grease Lightning is a runny gel texture that's really refreshing and non-irritating. I also really like the fresh, herbal scent. 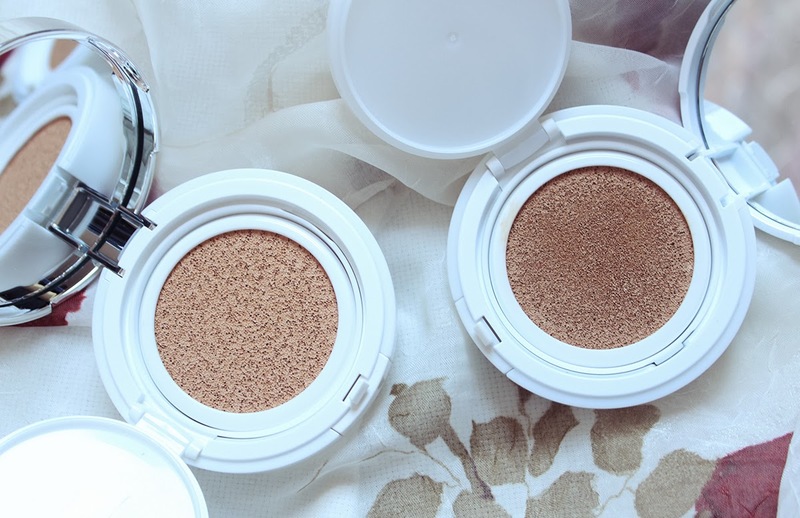 A skincare product I go back to over and over are the First Aid Beauty Facial Radiance Pads. I use these after cleansing and before moisturizing in the evening a couple of times per week. These gentle pads with lactic and glycolic acid always make my skin look glowy and healthy the next morning. The First Aid Beauty gift sets are always a good deal because I love this exfoliator and I'm a big fan of their Ultra Repair Cream as a body moisturizer. I purchased the spring gift set on Sephora last month and I'll likely restock with one of their holiday gift sets around November. Eye cream is one of those things I use and think that I might not need it since I'm in my early 20s. But then the moment I stop using it, my concealer drags and my eyes just look less perky. Especially since it's already really humid and my skin is excessively producing sebum, I don't want a thick undereye cream - even at night. Thankfully, the Shiseido Ultimune Eye Power Infusing Eye Concentrate* delivers enough hydration to keep my undereyes happy without causing milia or clogged pores. I mostly use this in the evening as I'm still using the Shiseido Bio-Performance Glow Revival Eye Treatment* in the morning. But the Ultimune Eye Concentrate is light enough to use in the morning as well. With at least two more months of warm weather, I'm pretty happy with my current rotation of products. I did place an order with Ole Henriksen during their July 4th promotion so I'll have a lot of freebies to test out soon! If I find any gems, I'll be sure to do an updated skincare chat in a couple of months. What skincare have you been using this summer? Any new favorite discoveries? * Products marked with an asterisk were provided by PR for consideration. This is not a sponsored post and my opinions are 100% honest and my own.